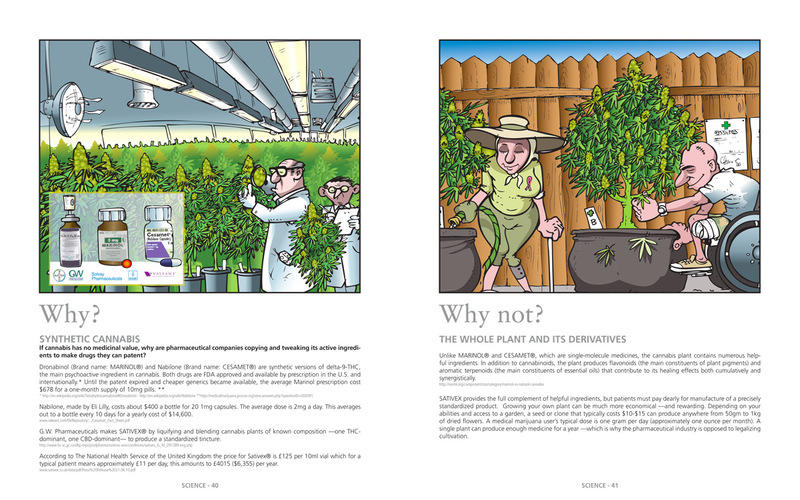 Is a 56 page illustrated book filled with eye-opening information that will change the way you look at marrrrrriiii...cannabis. 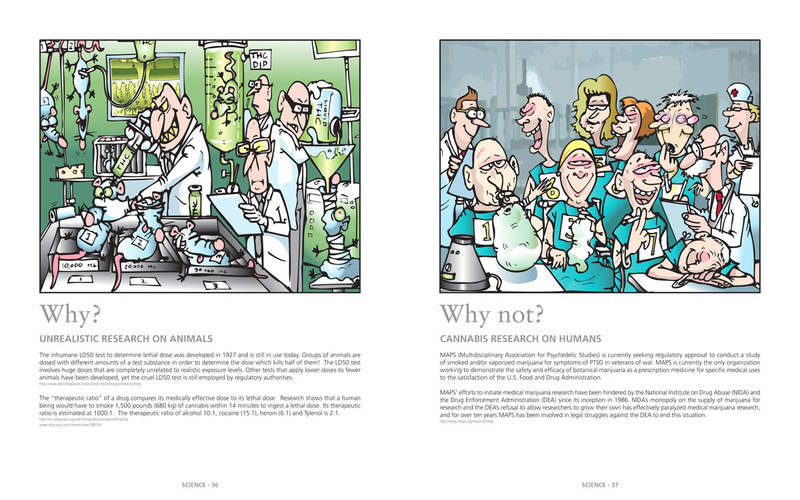 This fun collection of IvanArt’s internationally published why? why not? comic strips unmasks the irrational reasoning of our modern society. 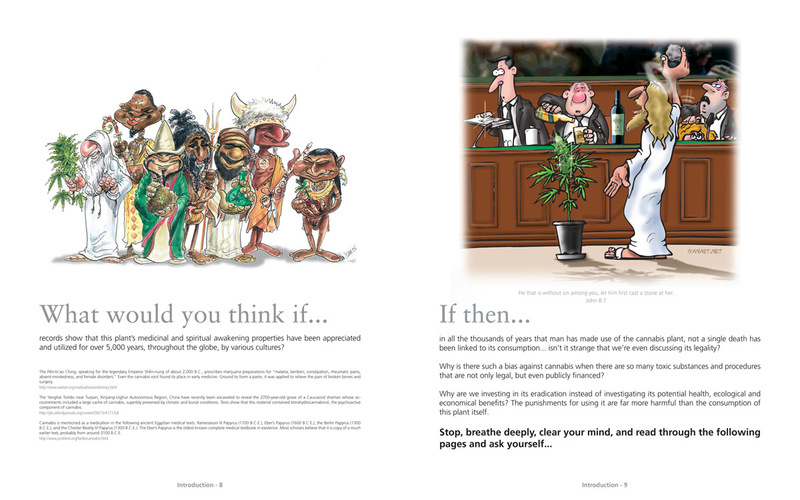 It captures at a glance the illogical distinction between what is socially and legally accepted – Why? – and what is forbidden – Why Not? 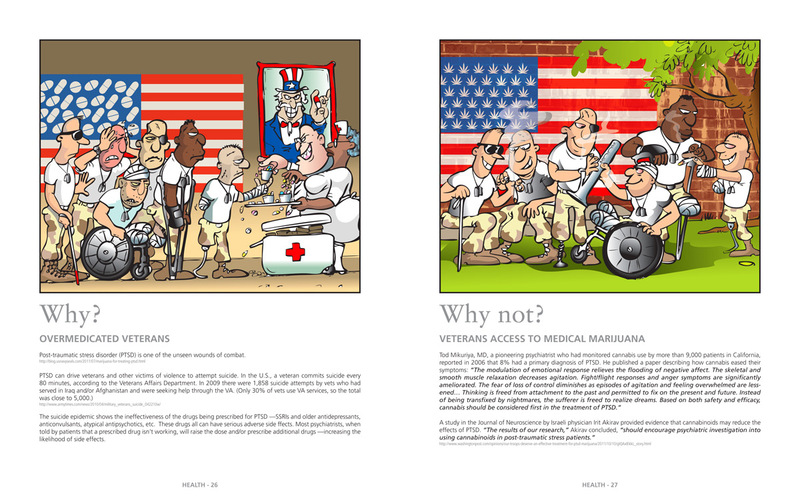 Like cannabis this book needs to be shared! HELP Abolish Errorism and get informed.